In the past few years I’ve done more all cash transactions than all of the time leading up to the 2007 recession. I use to get a kick about the dooms day, nay sayers stating that we were headed into the next Great Depression. That was never a risk in my opinion. You see, in a depression, people don’t have money. In this last recession, there was plenty on money, it just sat on the sidelines. It was an event in our lives that proved that money really has no benefit to an economy unless its changing hands. 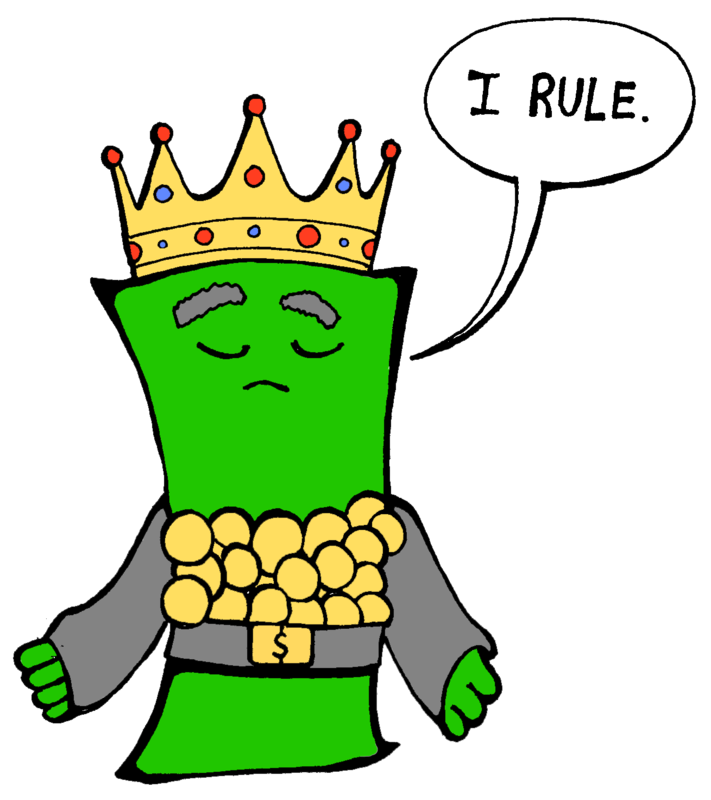 There is a saying that has been around for a very long time; “Cash is King!” But is that true? I guess the answer is, it depends. As it relates to your own finances then it probably is true. I often tell clients that the decision to buy real estate shouldn’t be made because you feel you are paying too much in income tax and you need a tax deduction. That logic really doesn’t work because you are shelling out $10 in payment to save $3 in tax. Frankly, you are better to save the $10 and pay the tax if its only tax benefit you are going after. The reason you buy property is you need a place to lay your head at night, it’s a better investment than renting and it’s part of the American Dream to own your own home. Alas, that isn’t the topic of this post. Back to the question, is it true that Cash is King when making an offer to purchase a home? I’m sure there are many theories but what I would submit is that in many cases, it is probably not. 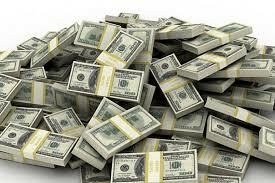 Certainly the offer of cash makes a real estate transaction much easier than the typical financed transaction. Why is it easier? Thats an easy answer. First, there is no loan to be declined in the 11th hour of the transaction that will cause a sale fail and disappointment for the seller. Second, you don’t have the “lender required repair” event which can add a sales expense to the seller, again risking the sale fail event. Third, it can contribute to the ability to close quickly because you don’t need to wait for appraisals, underwriting, and loan doc creation which can add a month or more to the transaction timeline. Yes there are other benefits as well but these are some of the larger ones. Is there downside to the seller accepting an all cash offer? One of the difficulties is in validating the cash itself. This is typically done with bank statements or letters from the bank stating the buyer has enough cash on hand to close the transaction. I have never seen anyone lie during this portion of the exercise but since someones finances are not being scrutinized by a third party, i.e. a Mortgage Broker, then I guess its possible to cook the books. The problem with that is they couldn’t complete the transaction and the seller would be damaged by being off the market. Again, it probably doesn’t happen often. While it can be agreed that there are pros and cons, the real question is what is meant by “Cash is King” and what do we do with that fact if it is one? The problem I’m getting to here is that some interpret that cash gives them the power to set the market. They are proud of the fact that they have saved this large sum of money (and so they should be) and as a result, they believe they can simply make any offer they want on a property and because its cash, the seller should accept it. There is leverage there but I’ll get to that later. The problem with this thinking, is the buyer doesn’t usually understand that the seller really doesn’t care. You see, at the closing table, the seller doesn’t care if the cashiers check comes with the buyers name on it or from a bank thru the proceeds of a loan. Either way, its all cash to the seller, and that is all they really care about. Its also all they should care about. Check my theory. Walk into a car lot and tell the Sales Manager that you are interested in that vehicle with the $32,000 MSRP price tag that has no manufacturers incentives. Now, offer him $29,000 dollars for it and see what happens. My guess is you are probably not buying that car. So what is the real problem with the way some people think who believe they are coming to the bargaining table with leverage? The problem is as was mentioned above, that some buyers believe that cash gives them the power to set the market. Well, that simply isn’t the case in most real estate markets and in most real estate transactions. For example, in a sellers market with low inventory, if a home has an asking price of $450,000 and it’s priced competitively, then making an offer of $400,000 cash and thinking that is reasonable is simply erroneous thinking. The question to consider here is why would a logical seller accept a $50,000 discount simply because its all cash? The answer there is they won’t. So why make it? I don’t have a good answer there but please feel free to comment if you do. So, in a tight real estate market, how can cash prove to be king? Well, its king if you use it to write a strong offer. You see, with all things being equal, if two offers come in at the same price, and one is cash and the other is financed, then yes, the all cash offer makes complete sense to accept first. Yes, it is a much stronger offer than the one that is financed and is probably the offer that the seller will accept first. As of the timing of this blog post, homes is the Portland Oregon metropolitan areas are selling for 99% of asking price in many price points in the area. Given that fact, why would a buyer think a seller would take their offer, discounted 10% simply because its cash?